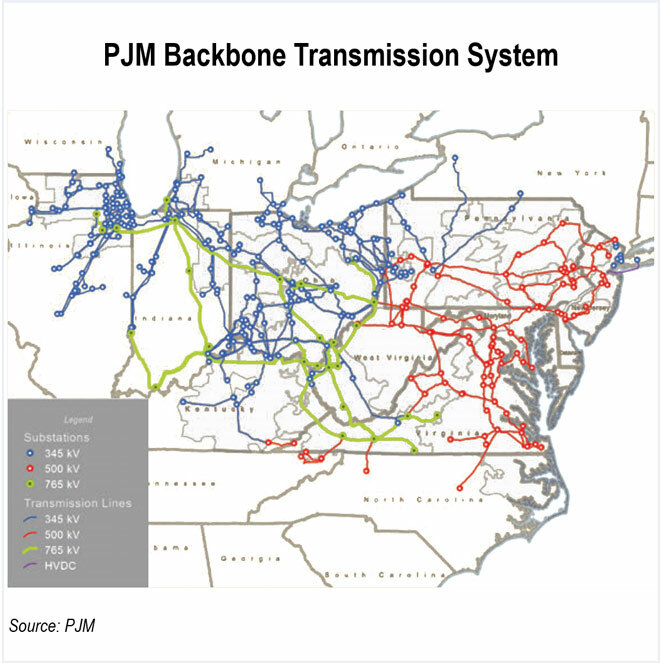 PJM has a transmission system that feeds electric power to 51 million people in 13 states. As part of the PJM requirement to meet national and regional standards, PJM looks into the future to identify situations that may require additional build out of transmission to avoid system overloads or look into operating practices to maintain reliability standards. Adding renewable energy to any generation system can have impacts on existing and future planning of generating resources. Renewable resources, such as wind and photovoltaics (PV), are being added to the PJM system to meet different state Renewable Portfolio Standards (RPS). Since wind and PV are somewhat unpredictable, their output remains uncertain and variable in a real time electricity production environment. The increased variability and uncertainty on the electric system can require changes in existing operating strategies. Examining the differences in this study will help prepare PJM for their future state of operations with renewable resources. In this study, the variability and uncertainty of renewable generation and the effects on current operating practices were analyzed. As the lead, EnerNex specifically analyzed the variable and uncertain aspects of wind and PV energy when injected into the PJM system at 20% and 30% of total system energy levels. Using simulated actual production data for onshore wind, offshore wind, central PV, distributed commercial PV and distributed residential PV across the PJM footprint, EnerNex provided insights into the impacts and operations of these renewable resources on the PJM footprint. EnerNex statistically modeled the variability of the renewable resource and determined from this potential stresses load variation and support requirements of the system.